Artist Djin Suk Kim (pronounced Gin Sook Kim) is a fine artist and one of South Korea's Feminist Art Movement pioneers. 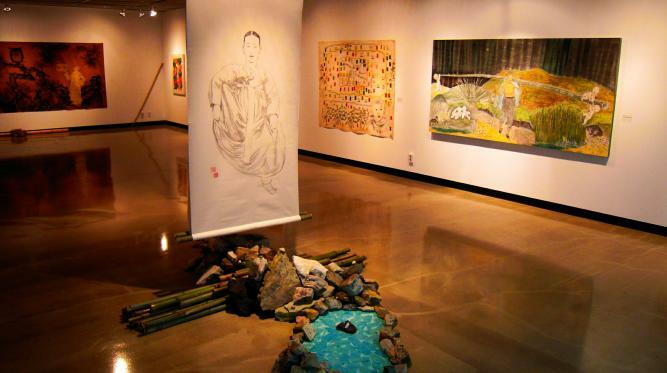 Ms. Kim has been producing her works in the United States for the past quarter century. This site provides information regarding Ms. Kim, her art, philosophy, activitiies and exhibitions. Djin Suk Kim's work is well represented in Museum Collections and Important Individual Collections throughout the World.